Candlestick arrangement favors bulls. 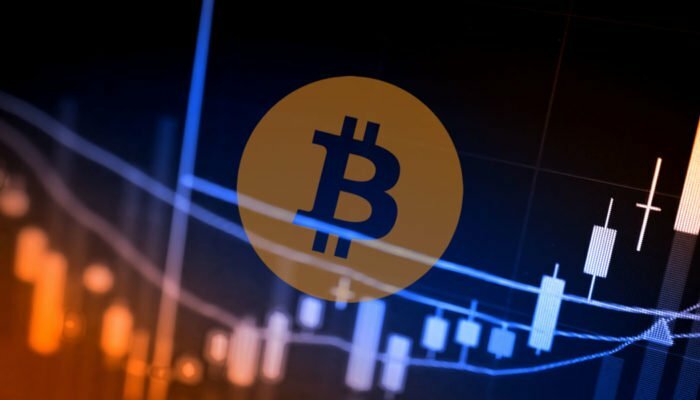 However, as the government opens up, we recommend patience until after Bitcoin prices rally above $4,500 in line with our last BTC/USD trade plan. The thing is, governments irrespective of jurisdiction won’t budge and will see towards enforcement of their initiatives. Under the guise of investor protection–whereas the so-called investors are on average tech savvy with full control of their funds, the government will always advance their causes regardless of resistance. The market is steadying, and accompanying volatility means levies imposed on businesses or individuals would further cause imbalance. On average, BTC prices move sway roughly eight percent, which is huge more so when compared to fluid and highly liquid markets as Forex. 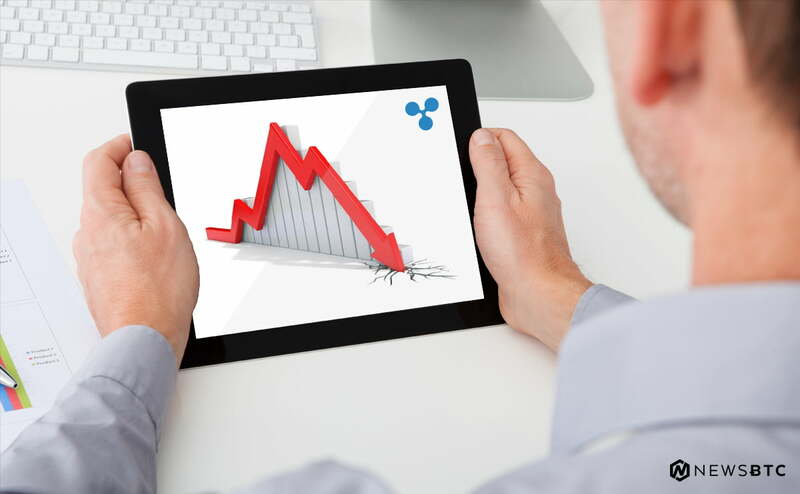 However, what’s of concern is the drop from $6,000 to $3,500 in a record two months. That’s a 55 percent drop which makes it unrealistic for crypto traders and investors in Bulgaria via National Revenue Agency (NRA) to pay for a 10 percent tax on their profits. The best approach is iron out difference ensuring that policies adopted satisfy governments as well as industry’s stakeholders. BTC is virtually unmoved in the last day. Everything else constant, this is bullish, and we expect Bitcoin bulls to find support in days ahead. Note that while bears may be on top from a top-down approach, candlestick formation points to bulls in the short to medium-term. It’s easy to see why. When we paste a simple Fibonacci retracement tool from Dec 2018 high low, bulls appear to find support from the 50 to 61.8 percent Fibonacci retracement level. Besides, the double bar bull reversal pattern of Jan 14 anchors bulls, confining price action of the last few days. Overly, we expect BTC to edge higher. 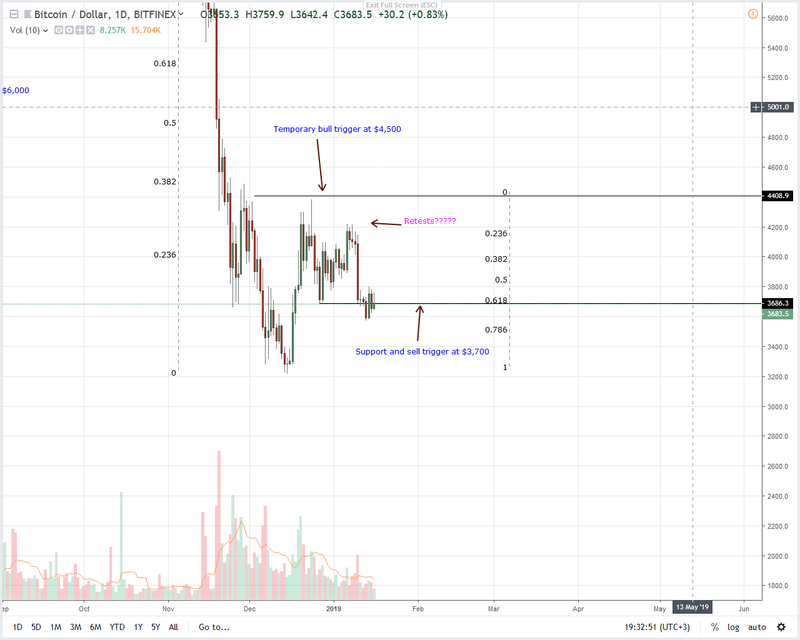 Ideally gains above $4,500 would pave the way for a possible rally towards $5,800–$6,000 resistance as our trading conditions as stated in previous BTC/USD trade plans are met. Like yesterday, trade volumes are thin. As prices struggle at Dec 28 lows, we need hints of participation before execution. One of them will be a spike in transaction activity. If prices rally above $4,000 confirming the double bar bull reversal pattern of Jan 13-14, then accompanying transactional volumes should be above 17k. Most importantly it should be above 35k eclipsing those of Jan 10.